With autumn finally here, you’re probably rejoicing about the break from the heat. However, before you know it, the rain and snow will be heading to your front door. This can be a pain in the neck to deal with, but it can also become a major burden for animals. It might even cause them to become ill if you’re not properly prepared to handle the situation. Luckily, there’s a lot of things you can do to prevent the wet and cold weather from causing your pet to feel uncomfortable. So, check out these ten tips before the autumn weather takes over your life. One of the best things you can do for the entire family is set out weather mats in front of doors that lead to the exterior of your home. These mats come at a fair price too, so you won’t have to alter your budget in order to get one. The mats are actually designed a little thicker than other mats and won’t budge when applied to the ground. This will help prevent people from slipping as they walk into the home with wet shoes. It is important to have one of these mats in front of your pet’s doggie door too. This can help pets securely come into the home when it is wet out. It might also prevent your dog from dragging in lots of mud and leaves too, which will save you a whole lot of clean up. Unfortunately, pet doors aren’t always water proof. This can cause a huge mess when it comes to extremely rainy days, flooding or even a snow storm. Worst of all, if your pet door is leaking then you are going to have more problems than the water that has entered your home. This usually means that the warm air you have pumping inside of the home is probably leaking out. On top of that, the cold air is probably also coming in, which is going to cost you a lot more in heating. Your pet might also feel discouraged to use the door with so much water around it. Weatherproofing the door is fairly simple though. You’ll just need some weather stripping that you would typically use around your own doors and windows. This can be applied with ease and should keep the great outdoors where it belongs. If you’re worried about aesthetics, then you can paint a wooden door with a weatherproofing formula. You might also consider adding a lock to keep debris out on windy days and your pet in during extreme weather. Of course, there are modern doors that include all of this, so if you don’t want to go to the extra effort they aren’t incredibly pricey to purchase and install. For many animals, particularly dogs, outdoor space is very important. Even if your pet is only going out to take care of business, you should have a special outdoor space to help out during the wet months. To begin with, you might consider placing a tarp over a section of the yard, so your pet can use the restroom without getting drenched. This will help you clean up easier too and might even help to prevent accents that happen in the home. If you can’t keep your pet indoors during this season, then you might make sure they have an efficient dog house. Try creating a mini home with an entrance flap to keep rain out. You should also have a covered area for water. Inside the dog house, place old bedding to keep your pet warm when they are too stubborn to come in. Another great idea is to create a safe space for strays. You can use an old kennel or wooden box for this. Simply place newspaper inside of it to keep the animal warm. You might also have a bowl of water that is changed frequently, but do not put out food. It doesn’t matter if your cat stays indoors or likes to venture outdoors, a cat tree is one of the best investments you can make. These trees are designed to not only give your pet a place to sleep and play, but it also helps them to get out their desire to scratch. This can truly help save your furniture, shoes and more from becoming damaged due to your cats’ claws. This will save you an abundance of money in the long run. You might consider bringing in more than one cat tree, especially if you have multiple cats. This will help cats get out pent up energy and will make the cold and wet months a lot more harmonious inside. You can even make your own cat trees from items found outdoors or at your local home improvement store. One problem many animals face in the winter is dry skin. Like us, the air is much drier in the winter which can cause a lot of discomfort. One of the best things you can do for your pet is to not shave them during this time. The longer fur will allow them to maintain moisture. 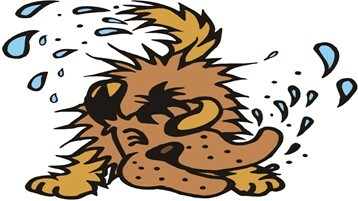 However, if your pet has naturally short fur or seems to be drier than normal then there is a great solution. A damp and warm towel can help bring moisture back to your pet’s skin. This is also a great way to help warm up your pet after spending some time outdoors. The towel will bring comfort to the animal while improving overall health of the skin. This should help you avoid having to purchase sprays for the skin or ointments for sores caused by itching. Often, pet clothes are seen as a bit extravagant, so many people don’t purchase them. However, you might be surprised by how much they can help your pet during the harsh cold or wet weather. One of the most important things to have for your pets is booties. These can be purchased for specific weather use or all-weather use. These booties will help prevent frost bite, slipping and blistering. Another great item to have is a dog coat, which are especially great for pets with short hair and those that are very small. You can also use your old clothes to help keep your pet nice and warm during the winter months. There are also dog ponchos for your pet, which are perfect for avoiding the wet dog scent, as well as for times when you don’t have the opportunity to dry off your pet after a walk. Even if the weather isn’t cold, your pet will still need a little extra warmth even when it is rainy out. So, you might want to look into pet beds to see if you can find a great place for your pet to snuggle up after a trip outdoors or during drafty nights. You don’t have to spend a fortune on your pet bed though. In fact, you can make your own out of old clothing or bedding. You can also set out old bedding for your pet to use to stay warm. Blankets might also prevent pets from fighting over who gets which bed, which will save you a lot of hassle in the long run. During the cold and wet months, pets tend to be less active. This is largely because they can’t go outdoors as often. However, some animals naturally spend more time sleeping when its cold. This might cause your pet to gain some weight, which might cause health problems in the future. Thus, it is important to monitor your pet’s diet during these months. If your pet seems to be gaining weight or eating out of boredom, then adjust the amount of food you put out. You might try to make feedings a bit more fun for cats by placing small amounts of food in different places throughout the home. This will give your pet the illusion of hunting and will force them to move in order to eat. If your pet is going outdoors frequently then feeding a bit more might be in order. This will help give your pet a bit more warmth until the warmer weather returns. One of the best things you can do for your pets no matter the season is to be attentive. If your pet is acting funny or out of character, then monitor them closely or take them to the vet to rule out a problem. The cold months are particularly important though because animals can get frost bite easily. Make sure to check paws, ears and snouts when your pet comes inside. You should also monitor behaviors to make sure your pet isn’t developing symptoms of a cold or other illness. Animals can pick up some of the illnesses that we get, so be especially attentive if sickness is in the home. Young and old pets should be monitored more as they are more susceptible to such problems. Sometimes, autumn brings some extreme weather that we might not have thought would happen. So, it is important to be prepared to tackle an emergency at a moment’s notice. One of the first things to consider is where your pets will be safe during an emergency. If you have a safe place in your home, then set out ready to go kennels, so it is easier to make sure everyone is in the proper place when an emergency strikes. If not, keep kennels in an easy to grab place so you can go to the shelter in a hurry with your pets in tow. If your area is close to the beach or you often face flooding, then set up a kiddie pool in your garage. You can place sod in the pool so that your dogs can relieve themselves when the weather doesn’t allow for them to go outside. You should also make sure to have emergency pet food and water on hand, as well as any medications your pet might be taking. This should help make the unforeseen a little less stressful. Your pet is a part of the family, so making sure the weather doesn’t cause stress or illness is important. These ten tips should help you keep the seasonal weather at bay, so the animals in your home can feel just as cozy as you do. Best of all, these tips won’t leave you burdened with expenses to pay off.